Dr. Richard R. Neptune earned his Ph.D. in Mechanical Engineering from the University of California, Davis in 1996 and has served on the Walker Department of Mechanical Engineering faculty at UT Austin since 2001 in the Biomechanical Engineering and Dynamic Systems & Control programs. His research integrates musculoskeletal modeling, computer simulation and experimental analyses to identify the neuromotor and biomechanical mechanisms that contribute to locomotor impairments in those with movement disabilities including lower-limb amputees, stroke patients and wheelchair users. His research also seeks to improve the performance of orthotic and prosthetic devices using advanced additive manufacturing techniques. His research has been supported primarily by the Department of Veteran’s Affairs, National Science Foundation and National Institutes of Health. He has received the American Society of Biomechanics Young Scientist Award and CAREER award from the National Science Foundation. He is also the recipient of the Da Vinci Award from the Engineering Society of Detroit and National Multiple Sclerosis Society for the application of Selective Laser Sintering techniques to improve mobility for those with lower-limb disabilities. In 2006, he received the Outstanding Young Scientist Award from the Houston Society for Engineering in Medicine and Biology. In 2012 he was named a Professor of Excellence by The University of Texas at Austin and in 2013 he received the Joe and Bettie Branson Ward Endowed Excellence Award from The University of Texas at Austin for his teaching and research that has contributed to changes of positive value to society. In 2015 he received the Lockheed Martin Aeronautics Company Award for Excellence in Engineering Teaching, in 2016 he was elected Fellow of the American Society of Biomechanics, and in 2017 he received the Van C. Mow Medal from the American Society of Mechanical Engineers. 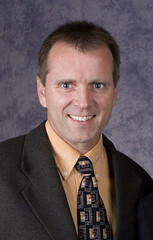 He is currently the Chair of the Walker Department of Mechanical Engineering and holds the John T. MacGuire Professorship in Mechanical Engineering. Shell, C.E., Klute, G.K. and Neptune, R.R. (2018). Identifying classifier input signals to predict a cross-slope during transtibial amputee walking. PLOS One 13(2): e0192950 (1-17). Harper, N.L., Wilken, J.M., and Neptune, R.R. (2018). Muscle function and coordination of stair ascent. ASME Journal of Biomechanical Engineering 140(1): 011001(1-11). Ranz, E.C., Wilken, J.M., Gajewski, D.A. and Neptune, R.R. (2017). The influence of limb alignment and transfemoral amputation technique on muscle capacity during gait. Computer Methods in Biomechanics and Biomedical Engineering 20(11): 1167-1174. Shell, C.E. ; Segal, A.D., Klute, G.K.; Neptune, R.R. (2017). The effects of prosthetic foot stiffness on transtibial amputee walking mechanics and balance control during turning. Clinical Biomechanics 49(C): 56-63. Neptune, R.R. and McGowan, C.P. (2016). Muscle contributions to frontal plane angular momentum during walking. Journal of Biomechanics 49(13): 2975-2981. Ranz, E.C., Russell, E.M., Wilken, J.M. and Neptune, R.R. (2016). The influence of passive-dynamic ankle-foot orthosis bending axis on gait performance in individuals with lower-limb impairments. Clinical Biomechanics 37(1): 13-21. Slowik, J.S., Requejo, P.S., Mulroy, S.J. and Neptune, R.R. (2016). The influence of wheelchair propulsion hand pattern on upper extremity muscle power and stress. Journal of Biomechanics 49(9):1554-1561. Vistamehr, A., Kautz, S.A., Bowden, M.G. and Neptune, R.R. (2016). Correlations between measures of dynamic balance in individuals with post-stroke hemiparesis. Journal of Biomechanics 49(3): 369-400.